MALAWI, April 17, 2018: ICRISAT’s highest award for research, was announced by its Governing Board today. 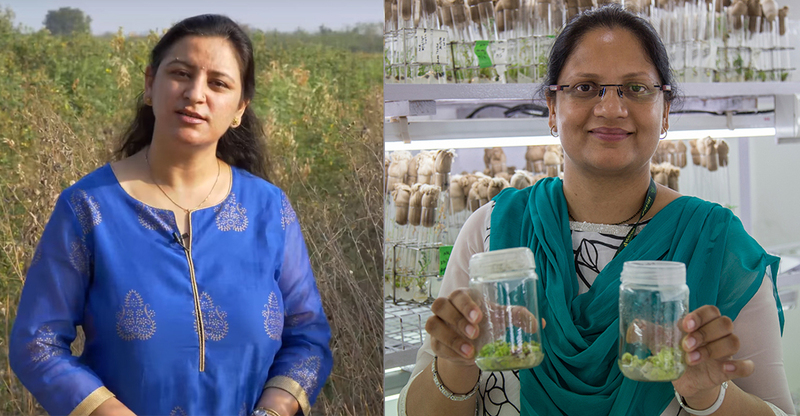 Dr Mamta Sharma and Dr Pooja Bhatnagar-Mathur are joint recipients of the Doreen Margaret Mashler Award for 2018, for significant work in their respective research fields of plant pathology and biotechnology at the International Crops Research Institute for the Semi-Arid Tropics (ICRISAT). 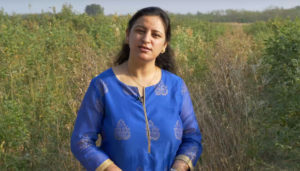 Dr Mamta Sharma specializes in epidemiology of plant diseases and pathogens, focusing on disease-resistant breeding in chickpea and pigeonpea, two of ICRISAT’s mandate crops. In 2017, she led the team that developed the Loop-Mediated Isothermal Amplification (LAMP) method to identify a pathogen affecting chickpea and over 500 crops globally. 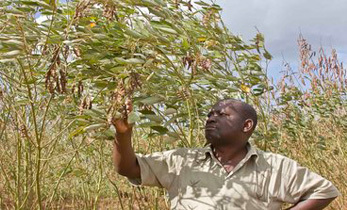 She also established the Center of Excellence on Climate Change Research for Plant Protection to address effects of climate change on insect-pests and diseases. Dr Sharma’s work on identifying new multiple disease-resistant sources has helped researchers in breeding programs across the globe understand the mechanism of inheritance of resistance. Her climate variability work on diverse patho-systems will have major bearing on developing risk maps, models for diseases and insect-pest prediction as well as adaptation and mitigation strategies for sustainable crop production. Speaking on the award Dr Sharma says, “The next few decades will see cutting-edge technologies in science for huge opportunities in India. If youngsters pursue a career in science with focus, perseverance and planning, they can become leaders of innovation and address the unmet needs of the country”. “Women, whether in science or elsewhere, work extra hard to overcome inherent gender biases to prove themselves. Rather than special incentives, women can be provided an environment to allow effective working.” Dr Sharma encourages young women to take up a career in science. 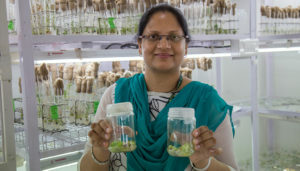 Co-recipient of the award, Dr Pooja Bhatnagar-Mathur led an international, multi-institutional effort, for innovative biotechnology solutions to combat aflatoxin in groundnut using a ‘double-defense’ approach. 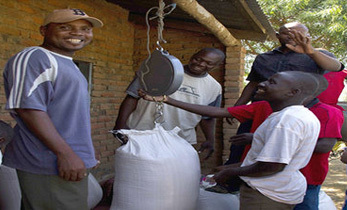 These include engineering groundnuts to stop Aspergillus flavus ungus by production of small proteins called defensins. In the second approach, the synthesis of aflatoxin by the fungus was shut down using gene-silencing RNA molecules. 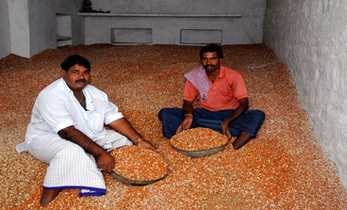 This breakthrough resulted in resistance to fungal infection as well as remarkably low levels of aflatoxin contamination. 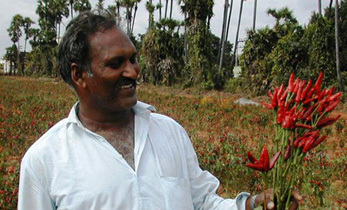 Dr Bhatnagar-Mathur also worked towards successful isolation and characterization of the gene responsible for cytoplasmic male sterility in pigeonpea. As a result, ICRISAT filed its first ever patent in 2016-17. 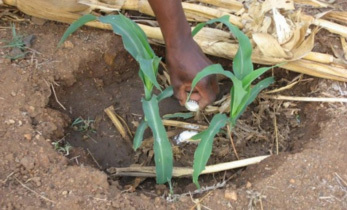 It holds great potential to induce and control male sterility in other crop species, thereby providing male sterile lines for developing scalable hybrid systems. 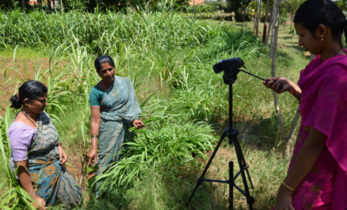 Describing the Mashler Award as her motivation to contribute even more to her professional goals, Dr Bhatnagar-Mathur said that she intended to build mutually beneficial newer collaborations and partnerships that ultimately benefit smallholder agriculture. Over the years, her goal-oriented approach, interpersonal skills and a ‘can-do’ attitude have helped her overcome many challenges, she says. The award includes a plaque and a citation for each awardee. It will be presented during the ICRISAT Governing Board meeting in 2018.